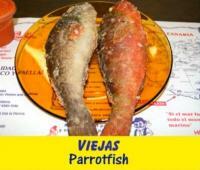 You can eat whatever you want of our varieties DISHES COLD, HOT, GRILL AND DESSERTS.We also PAELLAS CUSTOM, ROASTED LEG and takeaways.All in a friendly atmosphere and good service, and our room equipped with air conditioning. Little Brasil restaurant is cozy and centrally located between the shopping and entertainment centers Kasbah and Plaza, opposite the church. 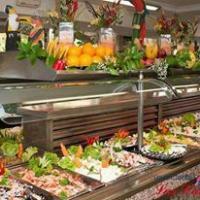 The specialty is Brazilian grill: unlimited eating meat with a choice of nine species. The servers come with huge skewers along the tables to some cutting. There is something for everyone to choose from, inter alia, kebabs, pasta and pizza.